The Capital One® Spark® Miles for Business is a business credit card with a $95 annual fee (waived the first year) and a straightforward travel rewards program that earns an unlimited 2 miles per $1 spent on every purchase. Once accumulated, miles can be redeemed for airfare, hotel stays, car rentals, and other types of travel purchases. Whereas many brand-specific business travel cards, such as the American Express Gold Delta SkyMiles Business Card, assign variable values to their miles, Spark Miles’ miles are worth $0.01 apiece when redeemed for travel expenses. Spark Miles for Business competes with a number of other business travel cards. It’s most closely tied to its stablemate, Capital One Spark Miles Select for Business, which has a less generous rewards program (1.5 miles per $1 spent) and no annual fee. Non-Capital One competitors include CitiBusiness / AAdvantage Platinum Select and the Marriott Bonvoy Business™ American Express® Card. Spark Miles is also quite similar to Capital One Spark Cash for Business. Since miles are always worth $0.01 apiece when redeemed for travel, this card effectively earns a 2% cash back rate – same as Spark Cash. However, there’s a key difference: Miles are generally redeemed for travel, whereas Spark Cash’s cash back earnings are redeemed for cash – a more versatile medium than travel. Earn 50,000 miles as a one-time bonus, worth $500 when redeemed for travel expenses, when you spend at least $4,500 in eligible purchases within 3 months of opening your account. Every purchase made with this card earns an unlimited 2 miles per $1 spent, with no caps or restrictions. That’s equivalent to a 2% cash back earning rate when you redeem for travel. Once accumulated, miles can be redeemed for travel in one of two ways. First, Capital One’s Purchase Eraser tool allows you to offset travel purchases you’ve already made by using an online interface or by calling Capital One directly. Purchase Eraser statement credits must be requested within 90 days of the applicable purchase. If you lack the requisite miles to offset an entire purchase, you can use a minimum of 2,500 miles to partially offset it. Second, you can use your miles to directly book airfare, hotels, car rentals, and other travel purchases through Capital One’s travel portal. There’s no set redemption minimum for this redemption method. Importantly, neither redemption method involves blackout dates, seat restrictions, or other limitations. While Capital One also allows you to redeem miles for non-travel items (such as gift cards, cash, and general merchandise), the values for such redemptions vary widely, often amount to less than $0.01 per mile, and are subject to change without warning, so they’re not ideal. The $95 annual fee is waived during the first year. There is no foreign transaction fee or balance transfer fee, and the cash advance fee is the greater of $10 or 3% of the advanced amount. The penalty fee is $39, but there is no fee for additional employee cards. Spark Miles cardholders receive quarterly and annual spending summaries. The summaries include a detailed, itemized, and categorized look at your spending during the covered period, as well as detailed reports of employee spending, if applicable. Capital One lets you download purchase records in formats that are exportable to Quicken, Excel, and QuickBooks. These are useful for accounting and tax preparation purposes. This card’s additional benefits include complimentary loss and damage coverage for car rentals charged in full, 24/7 emergency service (including ticket replacement and card replacement), and up to $3,000 in lost luggage reimbursement per trip for travel tickets (plane, train, and so on) charged in full. This card requires good to excellent credit. A few minor dings won’t disqualify your application, but more serious blemishes probably will. Excellent Early Spend Bonus.If you manage to spend at least $4,500 in eligible purchases within 3 months of signing up for your account, you receive a one-time bonus of 50,000 miles – a $500 value. That’s a solid bonus and is good for a couple of nights at a nice hotel or round-trip airfare between most major North American vacation destinations (very possibly with room to spare). Very Good Baseline Miles-Earning Rate. This card earns an unlimited 2 miles per dollar spent. Since miles are worth $0.01 when redeemed for travel, that’s equivalent to a 2% return on spending. Capital One’s own Spark Miles Select for Business (1.5x miles) can’t match this earning rate. No Balance Transfer Fees. Spark Miles for Business does not charge balance transfer fees, ever. If you’re a new cardholder who needs to transfer an existing high-interest balance from another business card account, this can significantly reduce the cost of doing so. No Foreign Transaction Fees. This card also doesn’t charge foreign transaction fees. That’s very good news for business owners who travel out of (and do business out of) the country frequently. By contrast, American Express Business Green Rewards ($95 annual fee) charges 2.7% on foreign transactions. Flexible Rewards Redemption. You can redeem your accumulated miles for virtually any travel purchase, and with no redemption minimum for direct bookings. By contrast, branded alternatives such as Gold Delta SkyMiles Business and CitiBusiness / AAdvantage Platinum Select require you to redeem for airfare with specific carriers – a much more restrictive option. No Blackout Dates or Seat Restrictions. With Spark Miles for Business, you never have to worry about blackout dates or seat restrictions. That’s a huge benefit relative to branded cards, which often restrict award travel during peak periods and on high-demand routes. No Rotating or Tiered Spending Categories. Spark Miles doesn’t have tiered or rotating spending categories, a huge win for business owners who value simplicity above all else. Both Chase Ink cards have tiered categories, forcing cardholders to think twice before pulling out their plastic. Has an Annual Fee. Spark Miles for Business has a $95 annual fee. Though it’s waived during the first year and is modest in comparison to some other business rewards cards, it can still cut into the card’s rewards-earning power – particularly for business owners with low to moderate spending needs. If you prefer rewards cards without annual fees, look to the Spark Miles Select for Business instead. No Introductory APR Promotion. This card doesn’t have an introductory APR promotion for purchases or balance transfers. That’s a significant disadvantage relative to competitors such as U.S. Bank Business Edge Cash Rewards and Spark Miles Select, both of which have intro APR promotions that last 9 months. Limited Travel and Business Benefits. Spark Miles doesn’t have much in the way of convenient or luxurious travel perks, nor many special benefits for business owners. Branded business travel cards such as Gold Delta SkyMiles offer valuable perks like priority boarding and in-flight discounts, while the American Express business card family’s powerful business benefits include 5% discounts (or equivalent Membership Rewards point earnings) with select merchant partners. Non-travel Redemptions Aren’t Ideal. This card’s non-travel redemption options tend to undervalue accumulated miles by as much as 50%, reducing their purchasing power accordingly. If you want your non-travel redemption options to offer comparable value, consider an American Express business card, Chase Ink Business Preferred ($95 annual fee), or Capital One Spark Cash for Business ($95 annual fee) – which has the same effective 2% cash back rate, but doesn’t restrict non-travel redemptions. The Capital One® Spark® Miles for Business has a lot in common with Capital One Venture Rewards, a popular travel rewards card for consumers. Like Spark Miles for Business, Venture Rewards earns 2 miles on every purchase, with no limitations or restrictions. If you’ve dreamed of starting your own business but haven’t yet found the time or resources, you don’t qualify for Spark Miles – yet. However, you may qualify for Venture Rewards. And, if you like what you see here, it might just suit you well. 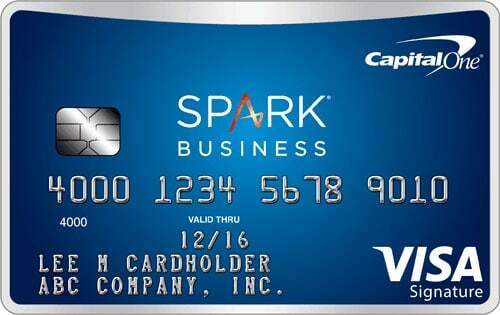 Capital One® Spark® Miles for Business is a great credit card for business owners who make purchases in a wide range of spending categories, use their cards enough to out-earn the annual fee, and travel enough to make the rewards system valuable to them. 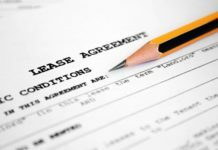 Thanks to its lack of balance transfer fees, it’s also useful for business owners who need to trim existing high-interest balances. On the other hand, this isn’t ideal for business owners who don’t spend much, don’t travel frequently, value fringe benefits, or want to redeem for non-travel items. Key benefits include an excellent early spend bonus, solid balance transfer terms, great baseline earning rate, limited fees, flexible rewards redemption, reasonable credit requirements, and a lack of blackout dates. Drawbacks include the annual fee, minimal travel and business benefits, poor non-travel redemption choices, and a lack of a promotional introductory APR. And remember that while this card has the same effective cash back rate (2%) as Spark Cash for Business, it essentially forces you to redeem for travel. You could call it, perhaps uncharitably, a cash back card that’s only pretending to be a travel card. Still, Spark Miles for Business is a good card for travelers who aren’t loyal to a particular airline or hotel brand.